The transition from child to teenager is an important milestone in any child's life. Our emphasis is to foster awareness that this milestone is only the beginning of Jewish life and help attain a greater appreciation of the Jewish adult's responsibilities. Home to the happiest campers in all of the East Bay! Friends, fun, field trips, and more. 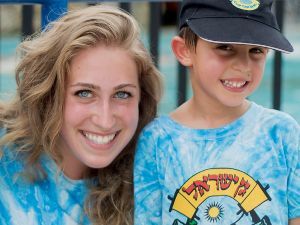 A Gan Izzy summer is like no other - jam packed with awesome activities and overflowing with Jewish Pride.